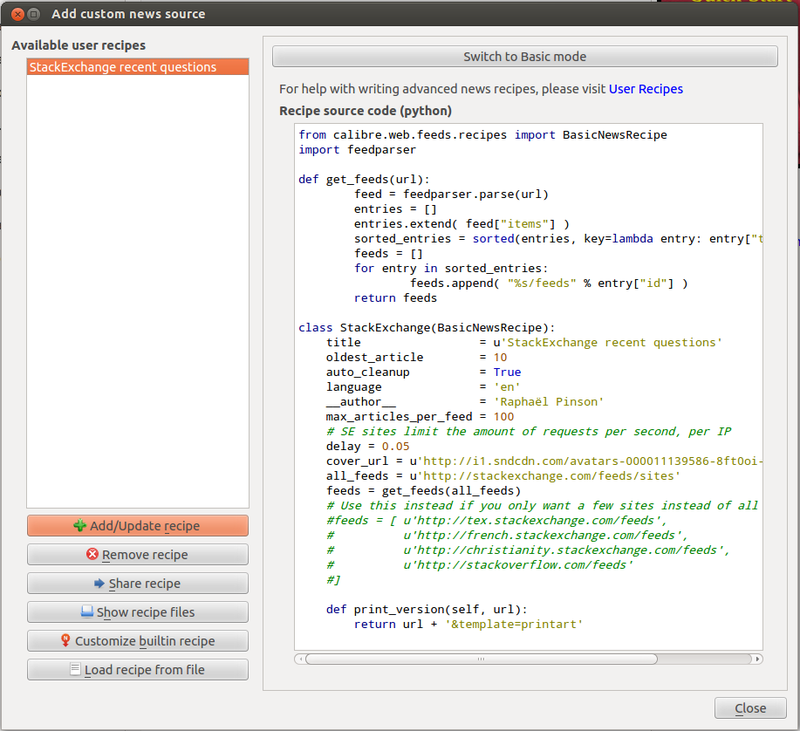 The Calibre ebook manager has a recipe system to generate ebooks from websites/news feeds in order to read them offline. You can also add it in the Calibre interface by clicking the "Fetch news" dropdown menu, choosing "Add a custom source" ⇒ "Switch to Advanced mode" and pasting the code. The recipe can then be used by simply clicking the "Fetch news" button in the interface. Try reducing the delay (to e.g. 0.01). You might get "Too Many Requests for this IP" errors if you lower it too much. Browse other questions tagged app python .